The Indian smart TV market has recently got quite hot with new-age players offering aggressively-priced televisions. In fact, thanks to brands like Xiaomi and VU, one doesn’t need to break the bank for acquiring a smart TV. 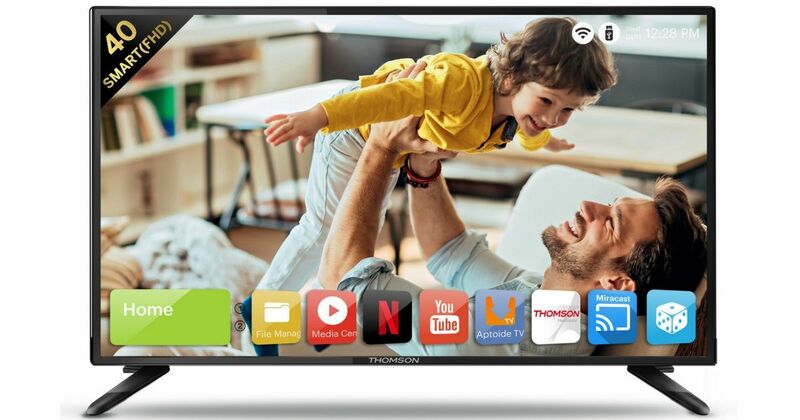 And with the market tilting towards wallet-friendly televisions, one of the largest home appliance brands from Europe, Thomson, is all set to make a comeback into the country. Founded in 1893, the French company has a legacy of over 120 years in the television segment. 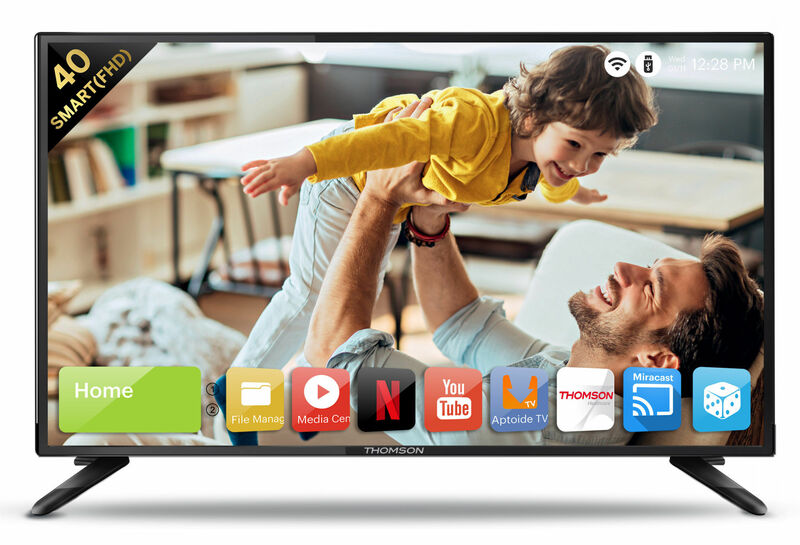 Available in over 40 countries in the world, Thomson is all set to start its second innings in India with the launch of three affordable TVs in two series, B9 and UD9. The entire lineup will be available to buy exclusively on Flipkart. To start with, the B9 series consists of two models – 32-inch and 40-inch. The former comes with an HD (1,366 x 768 pixels) screen resolution. For audio, the smart TV sports 20-watt surround sound speakers integrated into the frame. It also supports multiple video formats, which makes it a compelling buy for its asking price. 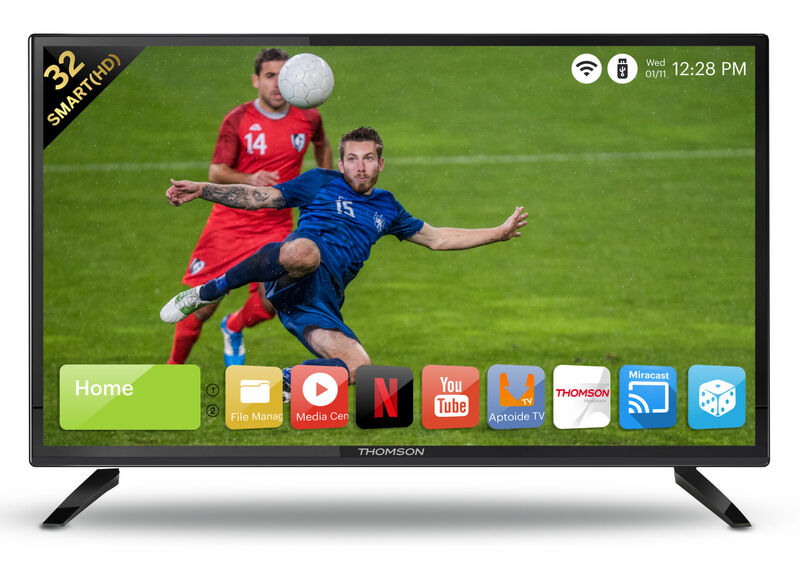 The 40-inch model of the Thomson B9 on the other hand, comes with a similar set of features, but offers a richer full HD resolution. While the most affordable TV from Thomson attractively costs Rs 13,499, the 40-inch variant will retail at Rs 19,999. Moving on to the high-end UD9 series, there is only one model in this range at the moment, offering a 43-inch display. The television comes flaunting 4K resolution with HDR support to offer great visuals. Standing for High Dynamic Range, the HDR panel ensures better contrast ratio along with darker blacks and brighter whites, ensuring a life-like experience while watching compatible content. Making the viewing experience more immersive and enjoyable is the fact that the display has very slim bezels surrounding it. The TV also gets a high-speed processor at its core to handle all tasks with ease. Apart from these, it retains other features from the B9 series. The UD9 43-inch 4K television has been priced at an enticing price point of Rs 27,999. Of course, you must be wondering what additional capabilities does the new lineup from Thomson offer when it comes to the smart aspects. Well, all smart TVs from the brand support a number of apps. The flagship model from the TV also promises to offer hundreds of hours of entertainment content for streaming. You can also play games on these televisions. Moreover, you can even mirror your smartphone’s screen on the TV, thanks to the support for Miracast. One glance at the pricing, and it’s clear that Thomson is taking the competition directly to the likes of Xiaomi and VU. With aggressive pricing and modern features being offered in its line-up, the French brand has made it clear that it’s here to stay. In fact, the first sale of these televisions was an astounding success, both in terms of being sold out as well as customer reviews (embedded in the gallery above). The next sale of the range of smart televisions from the French brand is scheduled for April 18th. 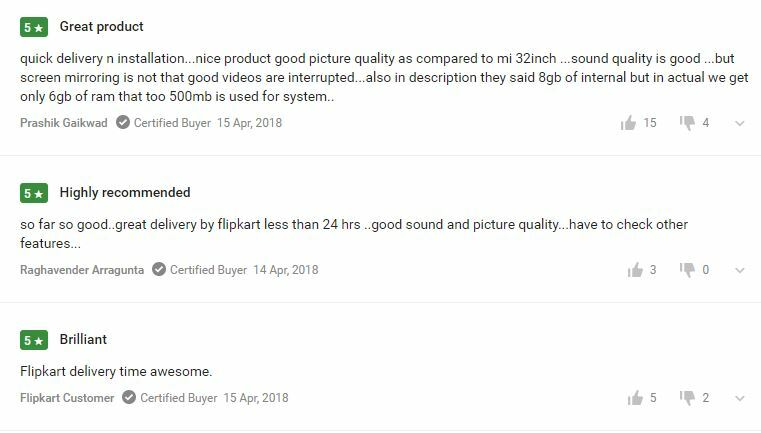 Talking about sales, Thomson has partnered exclusively with the top e-commerce website Flipkart, which is also the platform of choice for other brands like Xiaomi. It’s interesting to see Flipkart partnering with TV brands and trying to make sure that the smart TV revolution reaches the masses.